On a long business flight last week I watched the movie Peppermint. It was an interesting movie to watch, especially for me. 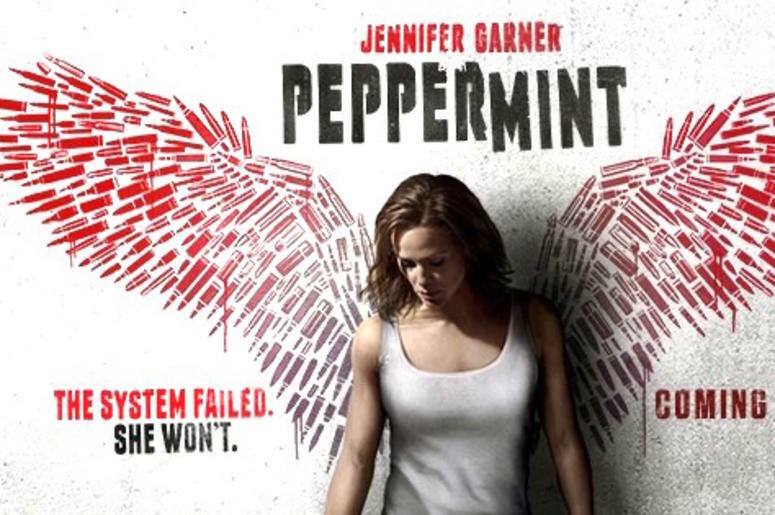 In the movie three members of a drug gang murder the husband and daughter of Riley North, played by Jennifer Garner. North is able to identify the killers; however, they are able to escape prosecution due to the workings of corrupt judges, lawyers and law enforcement personnel. I can relate. North disappears for 5 years and then on the anniversary of her husband and daughter's deaths, the three killers are found murdered. Guess who did it? She then moves on to the judge. And then up the drug gang to the leader. She leaves an impressive trail of dead bad guys. The story reminded me a lot of the The Count of Monte Cristo in that she used the tools of her oppressors against them. The movie was enjoyable but disturbing as well. Even through the corruption I see and in many cases have experienced first hand in the legal system, if not overtly as bad as is depicted in the movie, results just as much pain, suffering and death. Yet I would never go down the path of violence. One, it is not in my nature. Two, violence, even when done against an evil person, tends to increase violence in general. But most importantly, eliminating a few bad people is a small fix. What I want to see, is the corruption eliminated so that others in the future do not have to suffer as I and so many others have. Unfortunately there will always be some bad people. Our legal and law enforcement system is suppose to minimize the harm such people can do. When these systems themselves because criminally corrupt, they act like a metastasizing cancer vastly increasing crime and suffering throughout society. Although I do admit that I hope people like Nelly Wince, Judge Mearly, the members of the Lawyers Professional Responsibility Board and all the others who acted unethically or criminally agaisnt me and my kids see Peppermint and wonder if one day someone they hurt will see the movie and come for them. They do not need to worry about me, as I say I do not have a violent nature, but it isn't like I am their only victim.